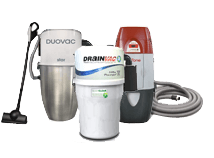 Once we have discussed the details of your Eureka central vac repair or installation, a certified technician will be scheduled & dispatched to your home in South, Florida. Big or small, we'll take on the job. When fast service is needed; call Gator! We install, service, and sell all the major central vacuum brands. Some central vacuum system repairs simply require a replacement motor, relay, transformer, or central vacuum power unit. 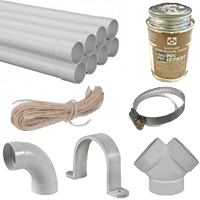 We come to every job site with a stocked truck including supplies such as hoses, attachments, motors, power units, etc. Established in 1909 by Fred Wardell, Eureka has been the forefront of innovative and environmentally conscious design. 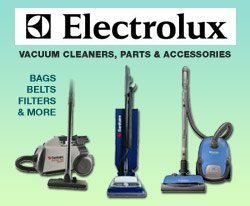 Today, Eureka still manufactures environmentally friendly vacuums and more as part of the Electrolux Home Care Division. Founded by Fred Wardell in 1909, Eureka got its start in Detroit, Michigan. Originally just acting as a distributor, in 1922 they released their first manufactured vacuum, the Eureka Model 9. The Eureka Model 9 soon became the go-to vacuum cleaner for consumers of the day, selling over a million units in just three years. In 1945, just after surviving the brink of bankruptcy from the Great Depression, Eureka merged with Williams Oil-O-Matic. The name was changed to Eureka-Williams Corporation. In 1953 the company traded hands again, this time to Henney Motor Company. In 1961 they produced the first purpose-built electric car in the United States, the Henney Kilowatt. The company name was changed back to Eureka in 1974 when AB Electrolux purchased the company. Eureka Zuum ECV5200 550 AirWatts, Up to 6,500 Sq. Ft.
Eureka Zuum ECV5300 575 AirWatts, Up to 8,000 Sq. Ft.
Eureka Zuum ECV5400 600 AirWatts, Up to 10,000 Sq. Ft.
Eureka Zuum ECV5500 640 AirWatts, Up to 12,000 Sq. Ft.
Eureka Zuum ECV5600 640 AirWatts, Up to 12,000 Sq. Ft.
What are the Reasons I should buy a Eureka Central Vacuum Unit? Whole-House Solution: If your central vacuum system is not providing you with the “clean house” experience then what is the point of having one. This is where Eureka stands tall. 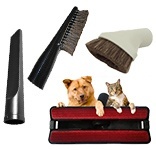 The Eureka central vacuum system provides a whole house cleaning convenience because of the adjustable wand that can reach every crevice, the premium attachment set with special tools to enhance whole-house cleaning, special brushes for cleaning soft and delicate surfaces, and a car care kit for your car and garage. HEPA Triumph™ Filtration: HEPA is known as High-Efficiency Particulate Arresting. HEPA filters are normally used in vacuum cleaners to ensure the removal of fine dust particles. Eureka central vacuum systems are enabled with HEPA Triumph™ Filtration material which guarantees a minimum of 99.97% efficiency when it comes to removing dust particles of 0.3 microns in diameter from the indoor air at your home. 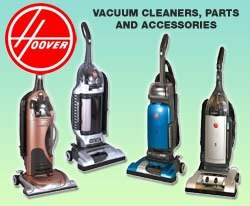 KickSweep™: The KickSweep™ technology used by Eureka in all their central vacuum systems helps in quick clean-ups. All you have to do is sweep all the debris in your home close to the inlet mouth and then hit the toe switch. The debris and the dirt will be whisked away immediately. The KickSweep™ technology works great for bathrooms and kitchens. 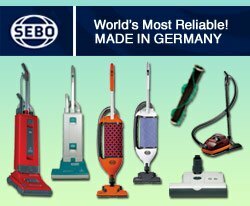 Electrostatically Charged Bristles: Eureka offers electrostatically charged bristles with their central vacuum systems. This is a type of Spin Duster, which can easily trap dust and dirt using a small electrostatic charge. 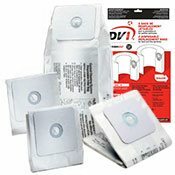 This will enable you to clean dust and dirt from delicate surfaces and fragile items. With the help of this Spin Duster, you will also be able to remove dirt from tight corners. Message Center Liquid Crystal Display: Some of the Eureka central vacuum systems come with a display system known as the message center liquid crystal display. This detailed display system consists of performance indicators, clean filter indicator, call for service indicator, and hours of service indicator. These indicators are quite helpful in determining how the central vacuum system is working and whether it requires a service or not. Warranty and 90-Day Money Back Guarantee: Eureka offers a warranty on the Eureka Vacuum System Power Unit for five years from the date of purchase. The warranty is valid for 5 years on all parts and one year on labor. The central vacuum system accessories have a warranty of one year and don’t cover damages or malfunction caused by customer negligence. Eureka offers a 90-day money-back guarantee on all their central vacuum systems. Apart from this, Eureka also offers a 3-year guarantee on all accessories like cleaning tools, powerheads etc., and a 7-year guarantee on electrical components and motor. Eureka central vacuum cleaner are one of the best in the world and are definitely much above the standard cleaners when it comes to quality and power. Can I Upgrade My Eureka Central Vacuum Accessories Or Replace My Power Unit? Absolutely! 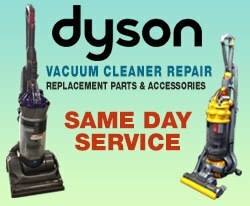 At ThinkVacuums.com we carry a large selection of replacement parts, hoses, and motors that will work with your existing Eureka central vacuum system. If you prefer to upgrade your power unit, we will be happy to give you a recommendation based on your home size and cleaning preferences. Just give us a call at 1-800-322-2965 and one of our expert customer service technicians will be happy to help you find the right central vacuum power unit for your unique needs.